A professional development opportunity for general and special educators, early childhood providers, speech language pathologists, psychologists, specialists, administrators, parents, and others concerned with topics and issues in the field of special education. 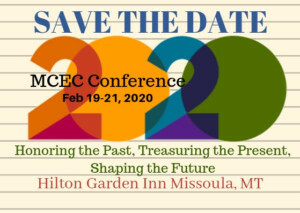 Some highlights of the 2019 Conference in Helena! I feel like this was helpful in terms of not only helping figure out how to teach my students self regulation but also to watch my own self regulation…my students are watching.